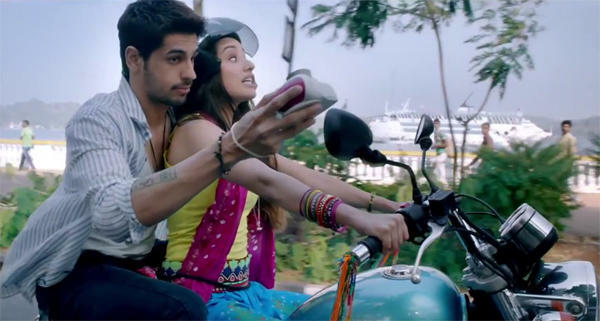 Ek Villain Gets A Smashing Reception at Box Office! Siddharth Malhotra, Riteish Deshmukh and Shradha Kapoor starrer "Ek Villain" has made a smashing entry at the box office. The film has grossed a whopping 50.70 crores in the opening weekend. These numbers are really stellar, especially considering that the film was released in 2539 screens. The audiences love the film as it has an unusual story, great performances, and fantastic music. "Teri Galiyaan" is a big hit and favorite amongst people of all ages! Distributor Anil Thadani said: "The film has found universal acceptance. It is one of those rare films that worked as well in a remote single screen as it did in an up-market multiplex. It is a blockbuster and game-changer in the real sense of the words. Hats off to Balaji and Mohit Suri!" Fresh New Pair for Ek Villain 2! Kapoor and Sons Is not To Be Missed! Bajrangi Bhaijaan Creates A New Record! Shahid Finds A New Girl To Romance! Aamir Is A Bad Man! Aditya Roy Kapur in talks for 'Ek Villain 2'? Brothers Gets A Great Opening! Hottest Female Villains of Cinema! All Set For This Year's RomCom? Did Son of Sardar Impress the Audience?